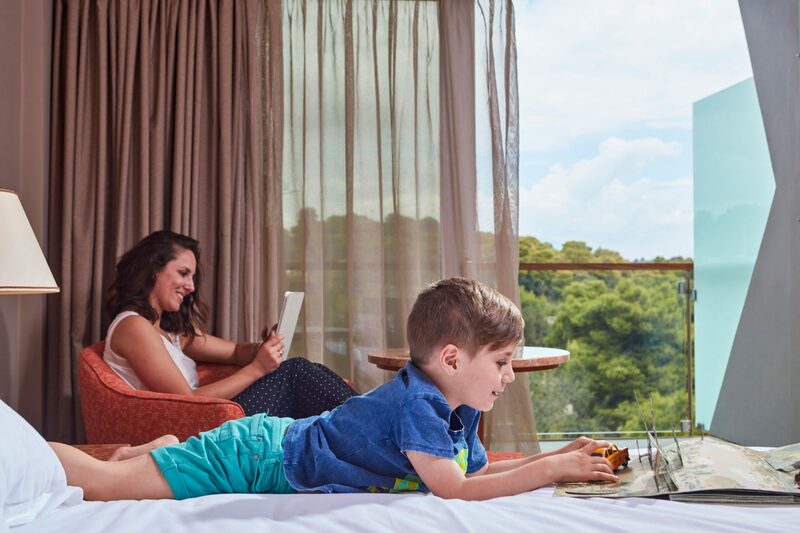 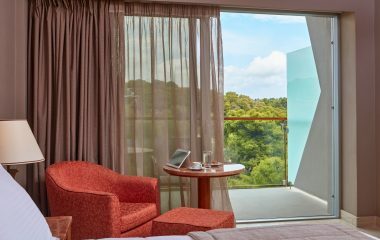 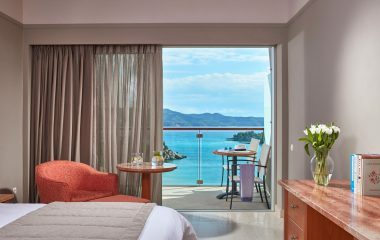 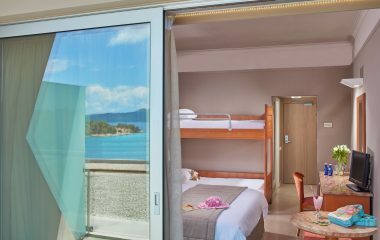 The family rooms with a bunk bed and mountain view are the most affordable choice offered by AKS Hinitsa Bay for families with two children, up to 12 years of age. 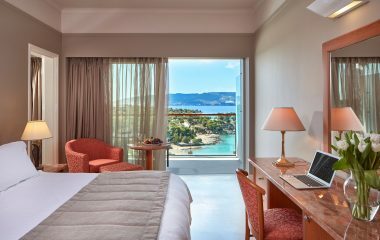 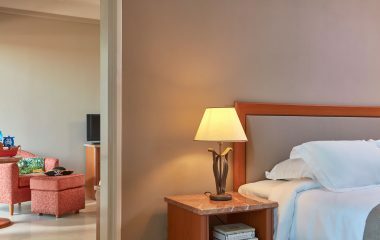 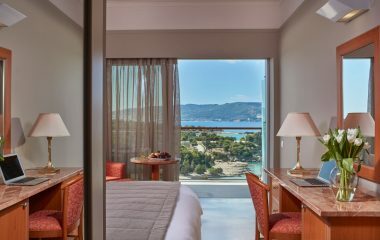 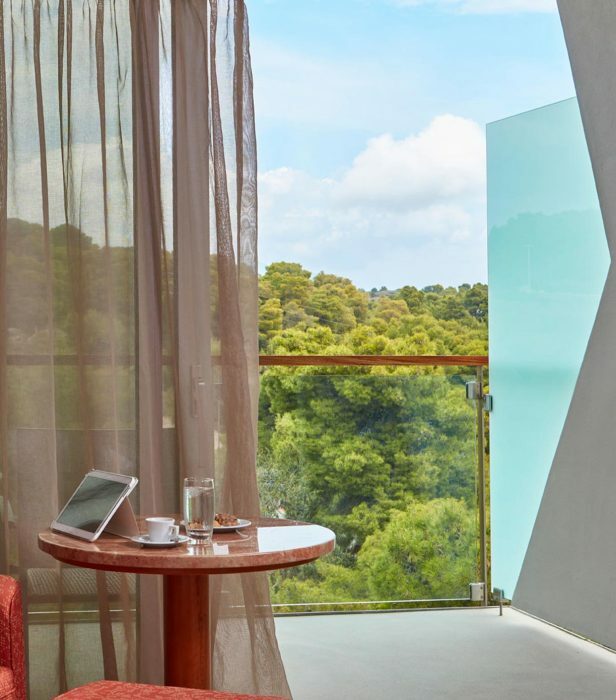 They are located on the first floor and overlook the verdant hills of Porto Heli. They are 22,60 sq.m. 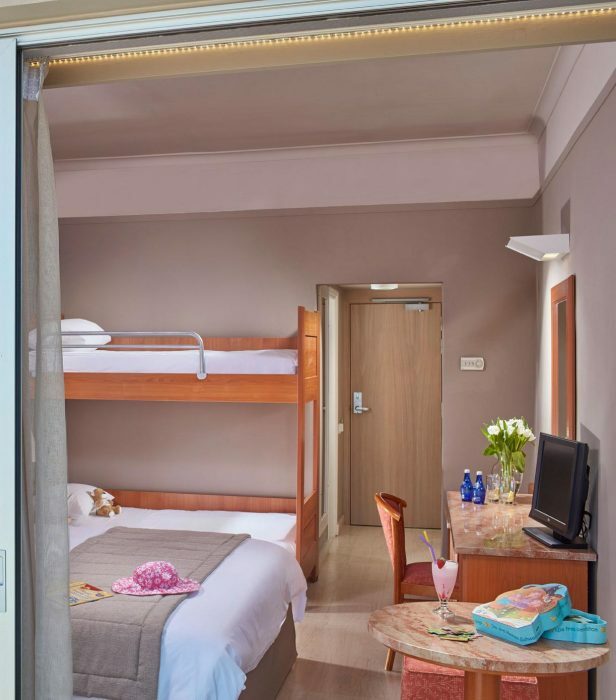 and feature a double bed or adjacent twin beds plus a bunk bed. 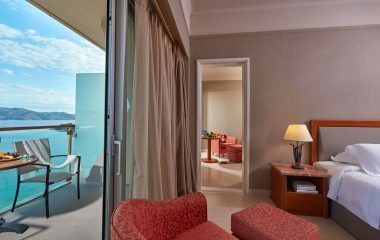 Additionally, they have a spacious marble bathroom, air conditioning, a fridge, TV, telephone, hairdryer & a private balcony.